My friend and I visited Paradise Dynasty at Westgate. The restaurant was pretty big, and just like all other restaurants in the mall, there was a line outside. We waited for about 15 minutes for a table for two. We decided what we wanted to order while waiting for our table. I ordered the La Mian with Braised Bork Belly in Signature Pork Bone Soup and my friend ordered the Sliced Pork La Mian. 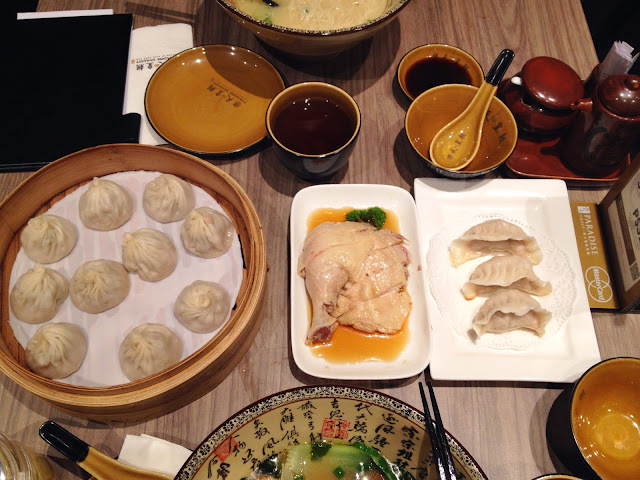 We ordered some side dishes to share: Xiao Long Bao, Drunken Chicken, and Pan Fried Pork Dumpling. Initially I was hesitant about which La Mian I should ordered, and also hesitant about the taste. I don't usually order La Mian at Din Tai Fung as I thought the broth doesn't taste nice. Nevertheless, I decided to give Paradise Dynasty's signature la mian: La Mian with Braised Bork Belly in Signature Pork Bone Soup, and I was really glad I did. The broth was rich, smooth, and full. It was perfectly seasoned and had a lot of umami. Of course, the noodle was nicely pulled and made. I love the pork belly as they were tender, juicy, and fatty. The la mian was topped with half an egg and some bokchoy and I thought this gave a balanced taste to the otherwise too fatty dish. I did not really get to taste the Sliced Pork La Mian but my friend commented that it was delicious too! 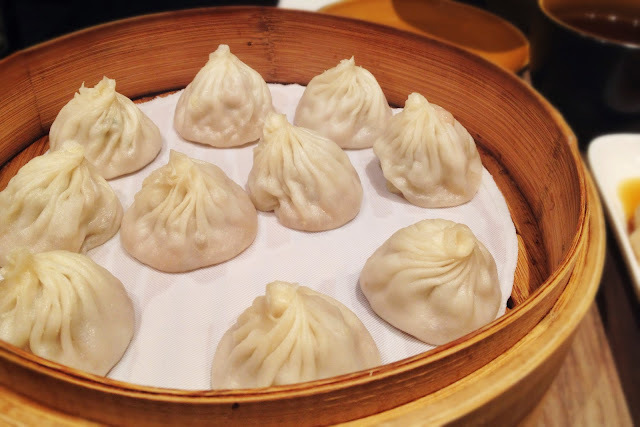 The Xiao Long Bao was delicious, and was definitely comparable to Din Tai Fung's. 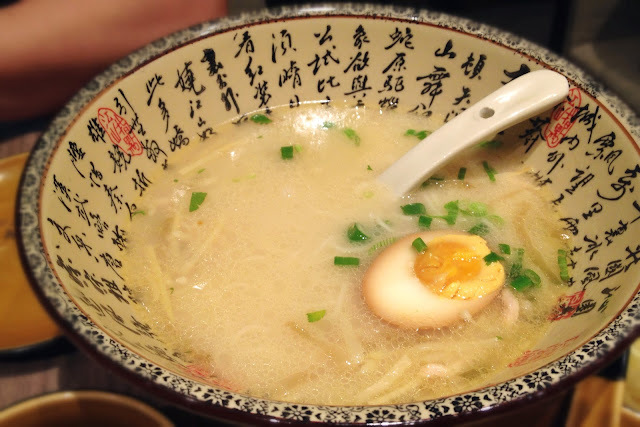 The filling was good, the broth was just the right amount, but the skin was slightly on the thicker side. 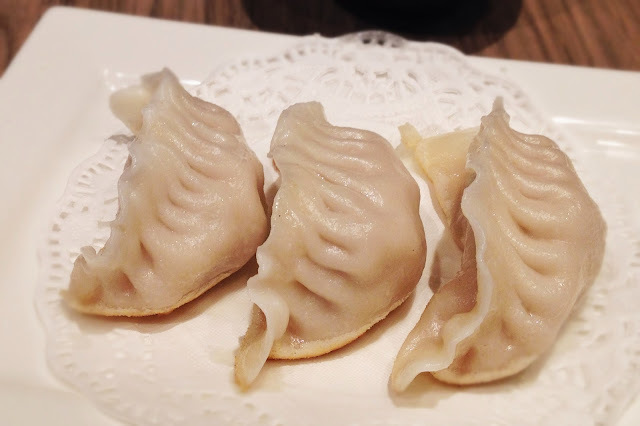 In addition to the regular Xiao Long Bao, Paradise Dynasty was famous for the colorful Xiao Long Bao. I tried those on my other visit and thought that the flavors were interesting, although I prefer the regulars. My friend and I both did not really fancy the Pan Fried Pork Dumpling. We thought the filling was rather dry, and as a whole the taste was not as pleasant. Our third side dish was the Drunken Chicken. 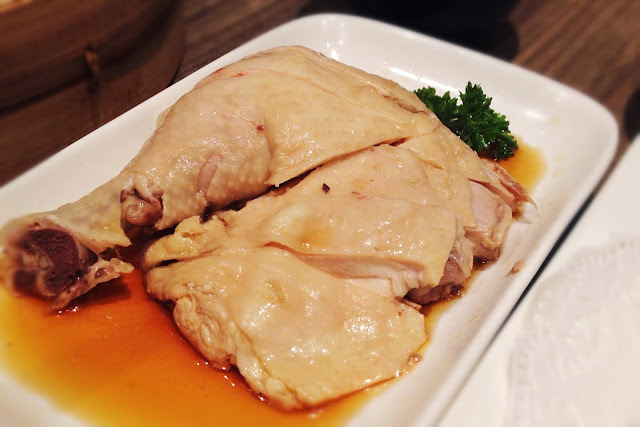 I was never a fan of drunken chicken because of the very heavy smell of Chinese rice wine. However, I tried both the Drunken Chicken from Din Tai Fung and Paradise Dynasty, and I felt that Paradise Dynasty served better Drunken Chicken. Why? The rice wine smell is very strong and prominent, which they say is what makes a good dish of drunken chicken, and the chicken flesh was more tender and tastier. People commented that the service was rather poor, and from my two visits at two different outlets, I had to agree that Paradise Dynasty could've trained the servers better. Overall we were really satisfied with our meal at Paradise Dynasty. 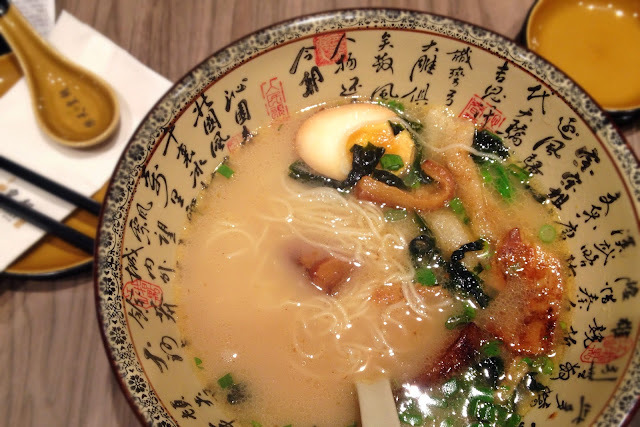 The food was really good, especially the ramen. I would definitely come back for other casual dinners.